When should I apply for a mortgage loan? As soon as you decide that you are interested in buying a new home. First, many realtors will ask that you at least get pre-qualified before they show you a home. Second, if you are pre-approved before you make an offer on a home, your offer is considered to be much stronger to the seller than those that are not. What documents are typically needed for a loan? 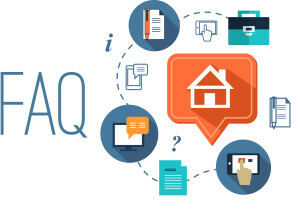 Below is a list of documents that are normally required when applying for a mortgage loan. Your loan officer will tell you if any additional documents are needed. Help speed up your approval by getting these documents together now, so you will be ready to close your loan right away. • W-2 forms for the most recent 2 years. • Payroll stubs for the past 30 days (showing year-to-date earnings). • Most recent three months bank statements including checking, savings, any mutual funds, stocks, and/or any retirement accounts. IF YOU ARE SELF-EMPLOYED OR RECEIVE COMMISSIONS. You will be asked to document your income with your most recent two years individual, business and corporate tax returns. In addition, we will need your year-to-date profit and loss statement. Rental Income: Federal tax returns for the past two years along with your rental agreements. Retirement/Social Security: Award letter, tax returns, or bank statements if direct-deposit. Alimony/Child Support: Divorce decree/separation agreement along with proof of payment. Interest Dividends: Federal tax returns for the past two years. Other Income: Provide appropriate documentation. Most recent three months bank statements including checking, savings, any mutual funds, stocks, and or any retirement accounts, both personal and business. • Copy of homeowner’s hazard insurance policy. • Copy of property tax bill. • Copy of survey (if available). • Mortgage statement showing account number of loan. • Sales & Purchase agreement (signed by both buyer and seller). • Condos and PUDs may require additional documentation. Will there be any up-front, out-of-pocket expenses? At time of application, you will be required to pay for an appraisal and credit report, of which you will be given a credit toward your closing costs at time of closing your residential mortgage loan. The appraisal is yours to keep and is valuable to have because it provides you with a comparison to other homes in your neighborhood. The home appraisal will cost between $350 and $500. You will receive a copy of your appraisal three days after completion of the approved appraisal. An appraisal is a qualified estimate of the value of your property. All lenders require an appraisal be conducted before your loan is approved because it provides an assessment of your home, which is the collateral the lender uses for your mortgage. Should we be pre-qualified before choosing a home to buy? First, a pre-approval means you will know exactly how much house you can afford. Second, a pre-approved loan allows you to negotiate better terms just like a cash borrower. The seller also has the peace of mind of knowing your offer is not conditional to a loan approval. Lastly, a pre-approved loan shortens the closing time to days rather than weeks. How important is job stability when applying for a mortgage loan? Lenders like to see job stability in a loan applicant. A stable job means a steady income that will enable the borrower to make the loan payments on time. On average, lenders prefer the applicant to have two consecutive years in the same line of work. Ideally this would be two years at the same job. Lenders understand that people change jobs, so job changes within the past two years may be acceptable as long as income hasn’t declined too dramatically and the applicant provides a letter explaining why the job change took place. Many lenders will also count college as work experience if the graduate is working in his/her field of study. What if I am self-employed or don't have a two-year job history? Self-employed borrowers are evaluated on the health of their business as well as their personal credit, so Meyer Mortgage will require a two-year business history. If your employment history falls short of two years, you may still be able to get a loan if Meyer Mortgage feels you have enough compensating factors. Compensating factors can be a large down payment (20% or more), substantial spouse income, large asset reserves, excellent credit history, etc. There are no hard and fast rules regarding compensating factors. Their ability to offset a short employment history depends on each individual situation and lender guidelines. A credit score, sometimes called a FICO score, is a system that has been developed to rate a borrower’s credit history. The predictive factors used to model the data have proven to indicate future credit performance. We will use this information to evaluate your loan application. It is our job to work with you to ensure that the information is accurate and to work with the credit reporting agency to make sure they understand your whole situation. We have helped many different types of people in many different types of situations. We will do everything we can to help you as well. There are four components to a rate lock: loan program, interest rate, points, and the length of the lock. 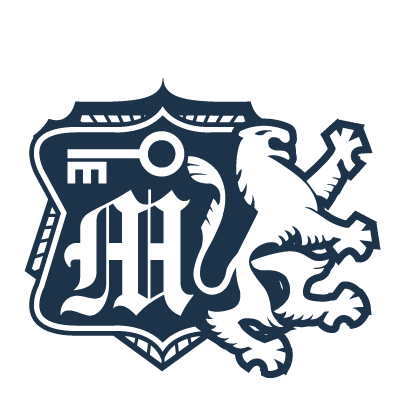 The loan program is the type of loan you are locking (Conventional, FHA/VA). The interest rate is the rate that is available under current market conditions. Points are a tool to buy down the interest rate. One point equals one percent of the loan amount. The length of the lock is the period of time that the lock will be good for. Available options are 15, 30, 60, 75 days. As the lock period increases, rate tends to increase as well. APR stands for “Annual Percentage Rate.” The APR takes into account the loan’s interest rate, closing costs, and other fees such as points. An APR lets you see the total cost of a loan, including fees and points over the life of the loan. A point equals one percent of the loan amount. Points are usually paid at closing. Discount points are fees paid by the buyer to the lender to reduce the loan’s interest rate. If you plan to keep the residence for five or more years, it may be worthwhile to pay discount points to reduce your monthly payment and realize greater savings over the life of the mortgage. The number of points required to buy down your interest rate will vary based on loan type and how much of a discounted rate you want to achieve. Generally speaking, points are tax deductible when you are buying a primary residence, however it is advisable to consult your tax advisor on limitations for tax deductibility. What does 28% debt-to-income ratio mean? In order to minimize the chances of borrowers’ getting in over their heads financially, most of the lending industry has agreed that a borrower’s monthly housing expense should not be greater than 28% of the borrower’s gross monthly income (income before taxes). This 28%, often referred to as the “housing-to-income ratio” or “front-end ratio”, includes the monthly loan payment, real estate taxes/assessments, homeowners insurance, mortgage insurance and association fees (for condo or townhouse owners). The allowable percentage can vary by lender and loan type. What is the 40% debt-to-income ratio? 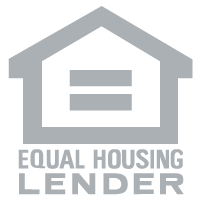 A lender may tell you that its qualifying ratios are 28/41. The 28 means that 28% of your gross monthly income can go toward housing expenses described above. The 41 means that 41% of your gross monthly income can go toward all of your monthly debt, including housing debt. This amount is often referred to as the “total debt-to-income ratio” or “back-end ratio.” This can include monthly payments on credit cards, installment loans (auto, student loans, etc. ); child support/alimony payments or other monthly payments required by a court ordered judgment. The allowable percentage can vary by lender and loan circumstances. What is PMI? Can I remove the PMI on my load? Both PMI and MIP are mortgage insurance policies that are required for all loans that have a loan to value (LTV) ratio greater than 80%. These insurance policies protect the lender, not the borrower, against default of the loan. PMI is private mortgage insurance issued on conventional loans and is based on the loan amount multiplied by a certain factor dependent on the LTV. MIP is the government loan equivalent to PMI. To remove PMI payments you must show that your mortgage is at 80% or less of the total value of your home. On FHA loans, the MIP remains in place for the life of the loan. Where will the closing occur? How much money should I bring to the closing? All parties involved will be notified of a closing date when the loan application process has been completed. The HUD-1 Settlement Statement will be provided for your review showing all costs and down payment required to consummate the loan closing. The closing will take place at the offices of Meyer Mortgage Corporation. What is the lowest amount I have to use for a down payment? A 20% down payment was the standard years ago, however Meyer Mortgage will allow the buyer to put as little as 5% down on a conventional loan. With an FHA government-insured loan, as little as 3.5% is required for a down payment. With a VA guaranteed loan, no down payment is required. Based on certain criteria, we now have 97% and 100% conventional loans available for those who qualify. Should I put down as much as possible when buying my home? Any down payment above and beyond our minimum requirements will depend on your individual financial situation. At the minimum you should leave enough funds available to cover related loan costs and two months worth of mortgage payments. Any remaining funds should be used to best fit your total financial picture. Would you be better off investing the money or buying furniture, and reaping the benefits of a larger mortgage interest deduction? The answer will depend on your personal financial goals. Will I be disqualified if I've ever been late on my monthly payment? No. Meyer Mortgage looks at the whole picture, not just your credit report and income statements. However, you must have certain minimum scores on all loan types to be approved. Does Meyer Mortgage Corporation sell their loans? Yes, Meyer Mortgage Corporation originates, processes, approves, underwrites and funds your loan from our offices. This gives us total control and flexibility while handling your loan transaction. All of our loans are underwritten in a fashion so they will be eligible for sale to Fannie Mae (Federal National Mortgage Association) or Freddie Mac (Federal Home Loan Mortgage Corporation). This flexibility allows us to offer the most competitive rates possible on a wide variety of loan types. Once your loan is sold the purchaser of your loan will notify you of servicing procedures and where to send your payments. Will the information I submit to Meyer Mortgage remain confidential? Meyer Mortgage and the lenders and credit agencies work together to recognize your right to confidentiality and are committed to protecting your privacy. We use the information you provide for the sole purpose of finding the right loan to meet your needs. We protect your account information against unauthorized access or release. We will not give, sell, rent or loan any identifiable personal information to any third party other than our certified lenders and credit agencies, unless you have authorized us to or we are legally required to do so.